November 1 marks the first day of Homeless Awareness Month. Across the United States, groups will participate in education campaigns, advocacy efforts and walks to raise awareness about the challenges and solutions to end and prevent homelessness for everyone, including veterans, families, youth, children, single adults and people experiencing chronic homelessness. As part of Homeless Awareness Month, a community presentation will be held on November 16 at 8:30am at Goodwill’s Opportunity Campus. The presentation will focus on Big Solutions for Housing & Homelessness. This includes a look at systems change, funding alignment and innovative practices across the areas of housing instability, homelessness and economic mobility. The presentation is sponsored by the Homeless Services Network (HSN) along with Mecklenburg County, City of Charlotte, United Way of Central Carolinas, Foundation For the Carolinas and Goodwill Industries of the Southern Piedmont. Mandy Chapman Semple, Director of Learning & Evaluation at the Houston Endowment, will lead the presentation, sharing examples from her work in Houston, Texas, which has seen a 60% cumulative reduction in homelessness since 2011. In 2015, Houston implemented a Big Solution: uniting employment and housing strategies through a program called Income Now, in which residents seeking housing assistance are connected upfront to employment and income resources. To register for free to attend the community presentation, click here. Systems change, funding alignment and innovation are some of the examples of Big Solutions needed to address housing instability and homelessness in Charlotte-Mecklenburg. Local examples of this include the new Coordinated Entry and 2-1-1 partnership, the local report series that brings together data from different sectors to highlight new gaps, and community-wide initiatives like Housing First Charlotte-Mecklenburg to end chronic homelessness and Housing Our Heroes to end veteran homelessness. 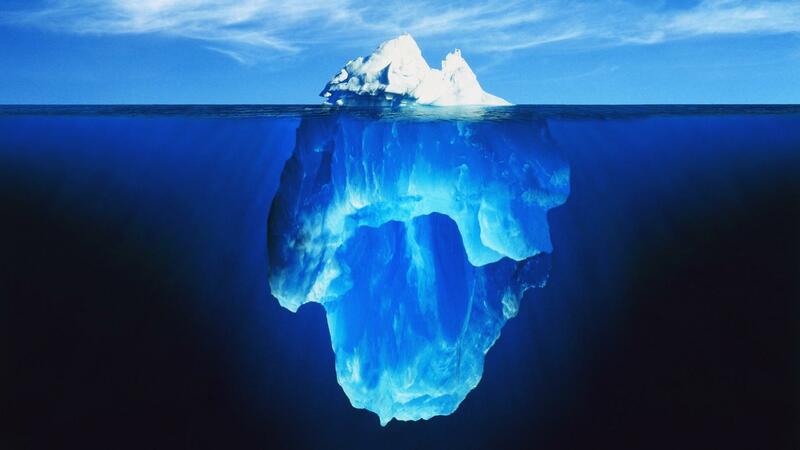 If you have ever seen an iceberg like in the image at the top, you know that the smallest part is the portion above the water. But, the part you cannot see underneath the water is much larger and if not paid attention, can cause significant damage. We see part of an iceberg every day – through Coordinated Entry, the Point-in-Time Count, and the number of children in CMS who identify as homeless and at risk. However, there are many more people we cannot see today who are one crisis away from facing homelessness. Like an iceberg that requires us to consider what is going on underneath the water, effectively addressing housing instability and homelessness requires Big Solutions that the look at the full problem and all the components that impact it. What are the next Big Solutions for Charlotte-Mecklenburg? How can strategies related to addressing economic mobility and homelessness be integrated to effectively address the symptoms and the root causes? How can we be more effective together than separate? What role does funding alignment across public and private sectors play within this work? And, how do we measure success? These are questions for Charlotte-Mecklenburg to consider as it searches for the next Big Solution.